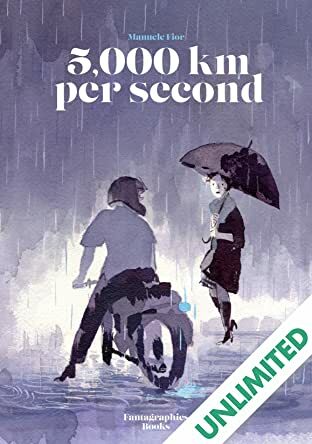 Winner of the prestigious Grand Prize of the 2010 Angouleme Comics Festival, 5,000 Kilometers Per Second tells―or almost tells―the love story between Piero and Lucia, which begins with a casual glance exchanged by teenagers across the street through a window and ends with a last, desperate hook-up between two older, sadder one-time lovers. Executed in stunning watercolors and broken down into five chapters (set in Italy, Norway, Egypt, and Italy again), 5,000 Kilometers Per Second manages to refer to Piero and Lucia’s actual love story only obliquely, focusing instead on its first stirrings and then episodes in their life during which they are separated―a narrative twist that makes it even more poignant and heart-wrenching. 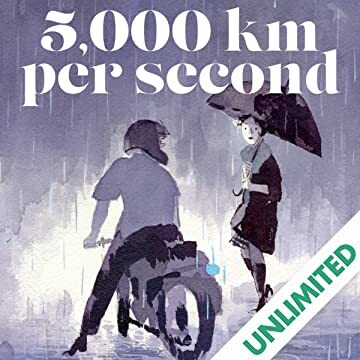 5,000 Kilometers Per Second is another delicate graphic-novel masterpiece from Europe.